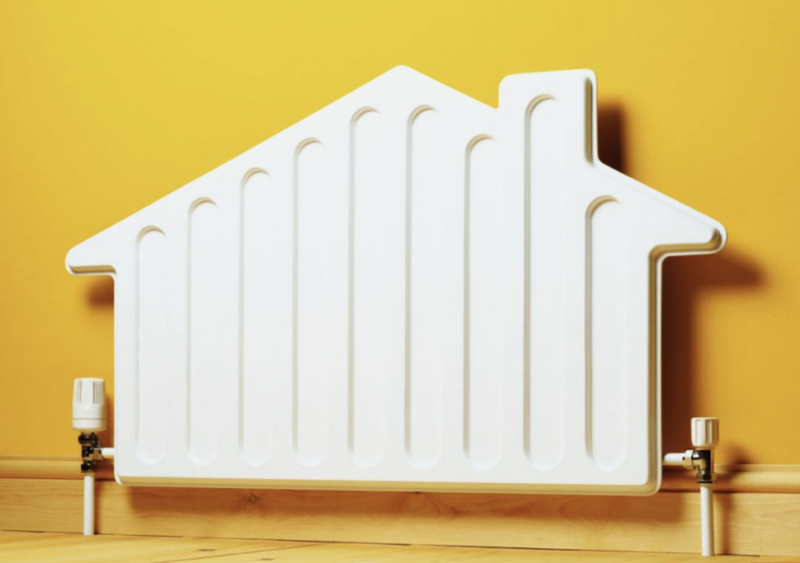 With the longer-term trend for lower carbon products, as well as the move towards a decarbonised electricity supply, electric heating really has come of age. Add to this Lot 20 of the Ecodesign of Energy Related Products Directive (ErP), which sets minimum energy efficiency requirements for space heating, and advances in technology make electric heating a very attractive option for households and installers. Stephen Totman, Product Marketing Manager at Vent-Axia explains more. Following the introduction of Lot 20 at the start of the year, all new space heating must meet new energy efficiency standards. The aim of this legislation is to reduce the energy needed to heat homes by removing inefficient technologies and so help achieve carbon reduction targets. 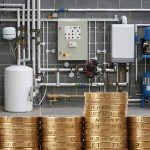 This has resulted in some major changes to the UK heating industry as manufacturers have been developing advanced systems that meet the comfort needs of households and energy efficiency demands of this legislation. This is all part of the longer term trend towards lower carbon products as we decarbonise the grid. And with a growing choice of CO2 neutral ‘green energy’ becoming widely available, the option of moving away from gas as a primary heating source is also on the rise. There is already a move away from installing gas pipes in some new build properties and the Netherlands has committed to phasing out gas with the aim of all residential buildings being off gas by 2050 in order to reduce CO2 emissions from the built environment. In addition, in a bid to lower carbon emissions homes are becoming more airtight and better insulated, as a result they are becoming more thermally efficient meaning that there is a lower heat demand to achieve comfort levels for households. This lower heat demand means that smaller units can be installed resulting in greater demand for more compact, efficient electrical heating. With the combined benefits of a decarbonised electricity supply and the latest intelligent, efficient and compact electric space heaters, now could be just the right time for households to upgrade or change to affordable, efficient electric heating. For heating installers and electricians, electric heating is a good business opportunity. Electric heating already has many recognised benefits. It quickly warms a room, providing almost instant comfort, and with low capital and installation costs it offers an affordable heating solution for homeowners. The flexibility of the units is an added financial bonus since heaters can be installed as stand-alone or as larger systems. This allows households to meet their individual comfort and budget needs, adding further heaters as finances allow. Meanwhile electric heaters cause little installation disruption for any household since they don’t require the pipework needed by traditional boiler heating systems. A simple electrical connection is all that’s needed, making electric heating easy for installers to fit it in a few minutes rather than the day or two needed for wet heating systems freeing up time for further work. This next generation of electric heaters offer even more benefits, Smaller, more intelligent and with better controls, they are more energy efficient than ever before. The new advanced electric heating systems incorporate highly sensitive, integral thermostatic controls. For instance, Vent-Axia’s range of energy efficient Opal Aluminium Radiators represent this new generation of electric heating technology – slim and stylish in design and offering controllable comfort. Featuring controllers that are fully programmable this type of electric heating system offers closer energy management, thus saving money for the homeowner. Ideal for both new build and refurbishment projects the newest electric heating, such as the Opal range, feature on-board energy monitors allowing occupiers to see exactly how much energy is being used to heat a room, and thus make an informed decision on thermal comfort. And the inclusion of highly sensitive, silent operating, digitally controlled thermostats allows electric heating to act quickly to maintain constant room temperature levels, reducing temperature overrun and further minimising energy consumption of the heaters. Households can now expect improved efficiency and control across a wide range of electric heating technology. Towel rails are traditionally marketed to homeowners for their aesthetics rather than efficiency. However, the next generation of heated towel rails now quickly and efficiently warm and dry towels while adding to the overall style, temperature and comfort of a room. For instance, Vent-Axia’s range of towel rails features high quality white or chrome finishes with ten different models, split into flat, curved and designer styles, allowing customers to choose exactly the right towel rails to suit their individual home. But again it is control that is central to the range, with the series featuring an optional advanced controller offering five heat outputs. Providing an eco-mode ideal for use when drying towels to ensure minimal energy use, the controller turns the rail on full power for 30 minutes and then reduces the output to the user setting for a further 90 minutes, before turning the towel rail off. Households therefore have warm dry towels without wasting energy, bringing greater comfort to the towel user but also adding to the overall temperature and comfort of the room. As we move towards a decarbonised energy supply, modern electric heating is set to become the heating technology of choice. Boasting excellent efficiency, clever control and fast response, electric heating offers installers a technology that promises their customers the comfort, control, cost and style households desire.